Thomas Keller is one of the most celebrated chefs in the world and arguably the godfather of new American cooking. He is the only chef in the US with two 3 Star Michelin restaurants; The French Laundry in Yountville, CA, and Per Se in New York, NY. He’s received numerous awards for his restaurants and cookbooks and is well known for his meticulous style and commitment to quality and local sourcing. Bouchon and Bouchon Bakery are the more casual locations in the Keller Empire with Bouchon focusing on French Bistro dining and Bouchon Bakery serving up breads, cookies, and pastries. 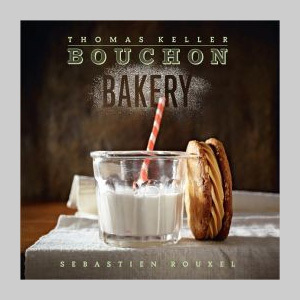 The Bouchon bakery cookbook is produced in true Thomas Keller style. Nothing is dumbed down for the home cook and no corners are cut. That being said, Keller does try and make his recipes accessible by including many that are reminiscent of the standard chocolate chip cookie recipes you’ve been using for years. 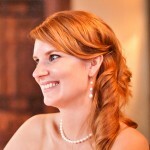 For those that are more challenging, Keller does his best to help you through them. He has an extensive section in the beginning that describes the timing, scheduling, and steps for bread making. 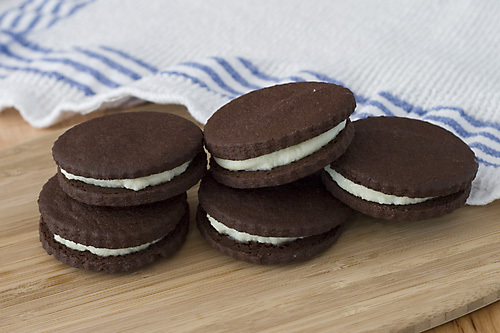 For the baker who is willing to take the time to think through a complex dish, they’ll be greatly rewarded with a perfect bite. While most of the cookies and pastries are within the reach of most home cooks, the bread section is a bit more challenging as the recipes require the use of a starter culture. Unless you are making bread on a regular basis, having such a culture sitting around under constant supervision is impractical.